We know that many of our cardholders have relatives / friends with no Internet access who are missing out on all our great savings. 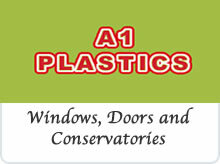 A1 Plastics Wrexham Ltd ( Doors, Windows, Conservatories) We can beat any like for like quotation on Conservatories. ACS Air Conditioning Cool your home / conservatory in summer - heat in winter - call for free survey and quotation. Alun Hughes - Film, Music & Nostalgia Wrexham Savers Parking and Travel Reimbursement Scheme - £1 back in cash when you spend £10 ( Use in multiple locations ). Baytree Blinds. Vertical Blinds Offer - Save £25 on 5 vertical blinds. Bitesize Youth Theatre Free Drama, Dance and Musical Theatre taster sessions - Save between £6.00 and £9.00. Caitlin's Pamper Boutique 10% off in our shop with the Wrexham Savers card. 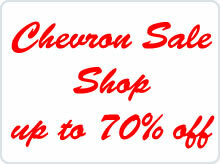 Chevron Clothing and Chevron Sale Store Save up to 70% on end of line ranges at our Chevron Sale Store - Henblas Street. 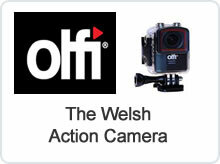 Discount Domestics EXCLUSIVE - FREE DELIVERY (Within 10 miles of Wrexham - Subject to £200 min spend). Emz Cakes Cupcake Party at EmzCakes - Birthday Girl/Boy FREE! Emz Cakes Wrexham Savers Parking and Travel Reimbursement Scheme - £1 back in cash when you spend £10 ( Use in multiple locations ). Foremans LLP - Accountancy ,Tax Advice and Adminstration Free accountancy consultation. Gracy J's Hair and Beauty Free eyebrow wax/tint and shape worth £13 for new customers with their first hair service. HDS Architectural Services Exclusive - Genuine 5% off the cost of all building plans / drawings for your extension, loft conversion, garage conversion. Hoola Nation Free Hoola Nation Taster Session worth £6.50 with your savers card. Hugh John Jones Butchers and Deli Since 1866 Wrexham Savers Parking and Travel Reimbursement Scheme - £1 back in cash when you spend £10 ( Use in multiple locations ). JF Emergency Glazing, Boarding and Locksmiths Free Survey and genuine 15% off emergency glazing / replacement double glazed units with Wrexham Savers card. John Davies & Co. Accountants Free consultation to discuss your accountancy requirements. 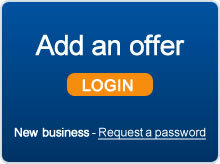 John Davies & Co. Accountants Free Trial of Xero on line accountancy. Kapas Dessers Free milkshakes for the birthday girl / boy. La Baguette Let lunch come to you - Free Delivery Within 3 miles. M.L.E. Roofing Free quotations on all aspects of roofing work. Marks Ices - Ice cream vans in Wrexham Available for weddings, shows, events, private parties. Martin Rees Jeweller and Pawnbroker Wrexham Savers Exclusive Offer - Spend Over £100 in any one transaction and get 10% - off. P.W.Hale Jewellers Free engraving with any gifts - Watches, tankards,christening gifts crystal, pens and more. 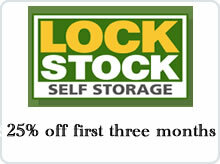 Rags and Riches Wrexham Savers offer - 10% off when you spend £150 or more. Ramada Plaza Wrexham 3 course Sunday Carvery ( Normally £27.90 for two people ) now £22 with Wrexham Savers. Results Room. Free 1 weeks Trial Membership of all classes. 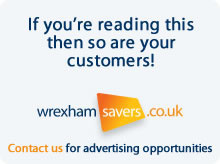 The Great Walls - Asian Restaurant Exclusive for Wrexham Savers Card Holders - Free Peking Aromatic Crispy Duck. Try Thai Noodle Bar ( Town centre ) 10% off your noodles when you order via our app and collect. Try Thai Noodle Bar ( Town centre ) Spend over £10 - free fortune cookies. Tutor Doctor - Wrexham Free home based assessment and consultation. Unique Hair and Beauty Salon £10 full body fake bake spray tan for new clients. Ventility Ventility Sleep solutions specialises in the diagnosis and treatment of sleep disorders. We offer a free no obligation assessment at our clinic. 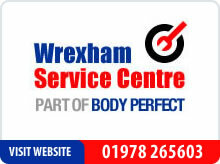 Wrexham Service Centre - part of Body Perfect We Paint Anything !!! - bring new life to your kitchen, your wardrobes, bedsteads, doors, or tiles, we can match paint to your favourite colour or offer you thousands to choose from. Your Trusted Friend - Companionship for the Elderly and Those In Need Free visit and consultation to discuss your needs.